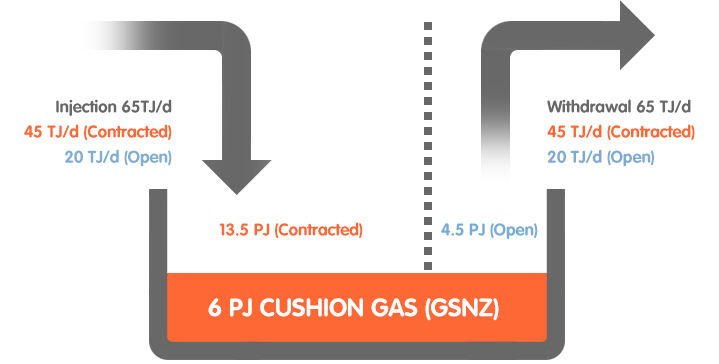 Flex Gas intends to expand Ahuroa injection and withdrawal capacity to 65 TJ/d by 2021. No work is required to the Ahuroa storage facility import export line as this is appropriately sized. Further expansion work at the field is possible and may be considered dependent on customer demand.